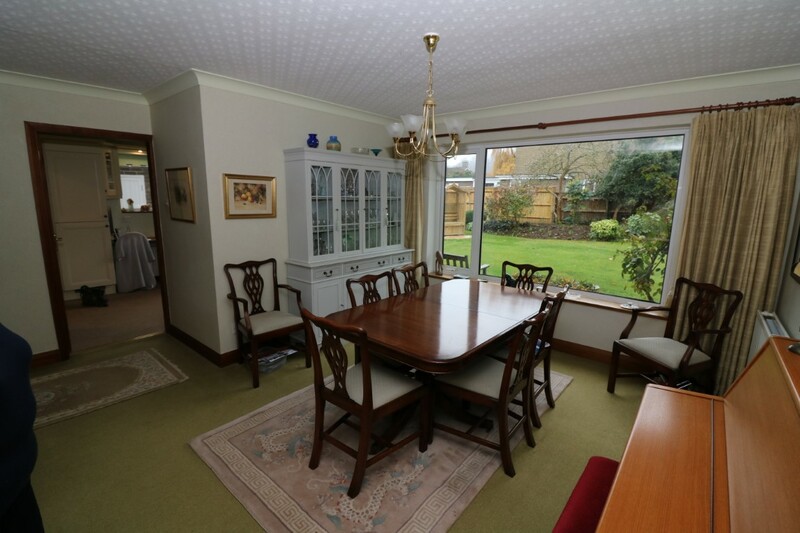 Four Bedroom Family Home in Popular Residential Area. Having Good Sized Garden, Driveway and Double Garage. En Suite, Three Further Bedrooms and Family Bathroom. Number 5 Parkwood is set within the grounds of the original Park House, now forming a mature development of 17 detached properties, set within a horseshoe configuration and built by Cox’s Homes circa 1972. The vendor of this property has lived at this address since construction. 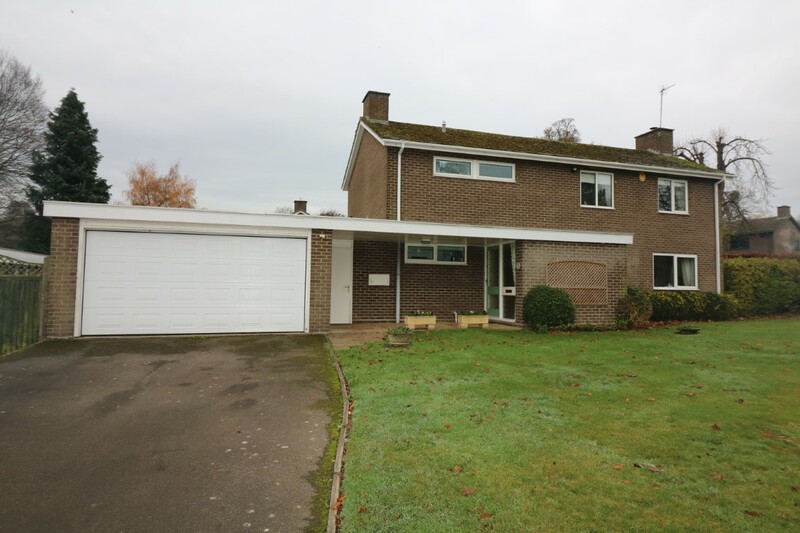 These popular properties have good sized frontage and ample off-road parking to large double garage, with covered way to the front of the property. 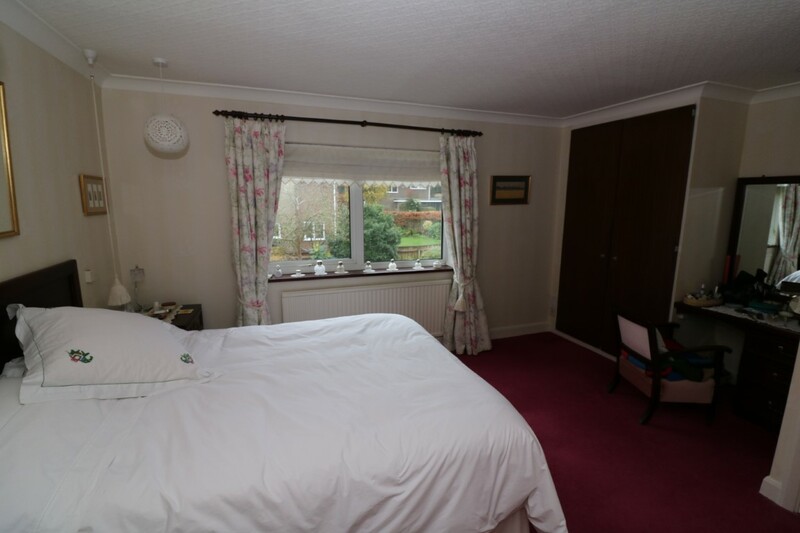 The accommodation is well planned with central dining room/reception overlooking the good-sized south facing garden. There is prominent stairway which leads to the first-floor landing and four bedrooms, with one en suite and a family bathroom. 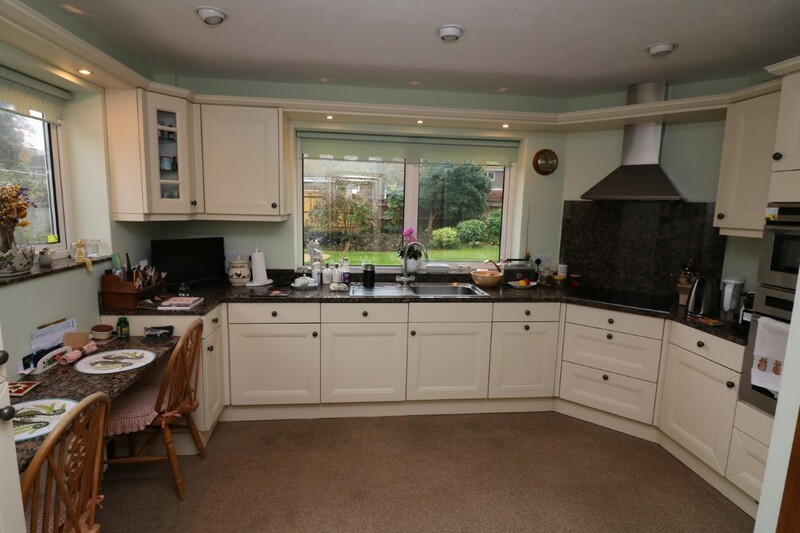 This property has been well maintained with modernised kitchen, granite worktop surfaces, ceramic hob and built in appliances. The useful laundry room with airing cupboard and washing machine facility is pet friendly with side door to passage and the garden. 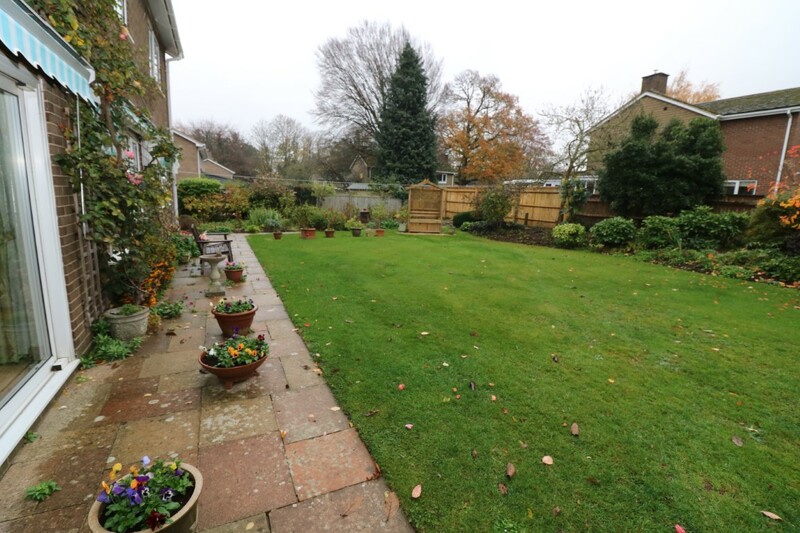 Outside the garden has vegetable plot and separate lawned area, ideal for children, being enclosed. Elmley Castle is a picturesque historic village, with Queen Elizabeth I, believed to have visited the local pub. There are black and white cottages and more modern period houses lining the street. The village has a lovely church and scenic walks from the street up Hill Lane onto Bredon Hill. There is also village hall and a visiting post office. Elmley is in the catchment area for Prince Henrys High School Evesham and has a popular first school within the village. 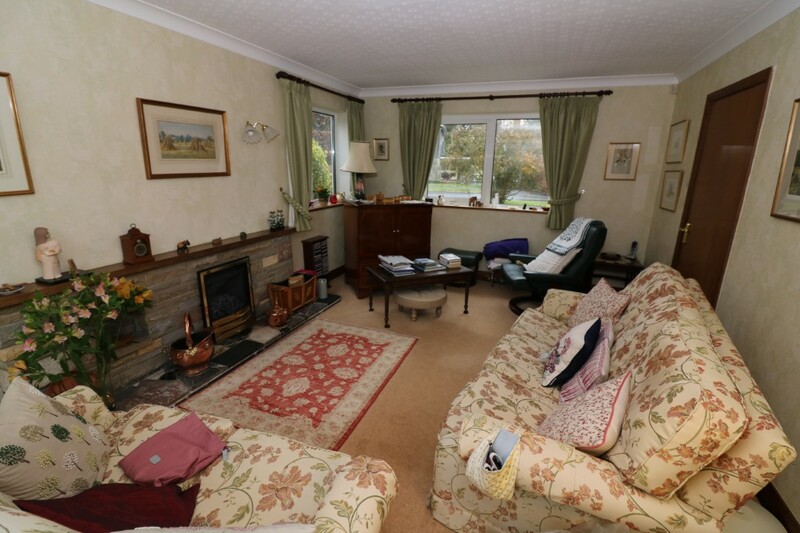 Pershore is approximately three miles distant where there is High Street shopping facilities and supermarket. All mains centres are within easy access. Off Station Road there is the railway link to London Paddington or Worcester. The new Worcestershire Parkway Station is being developed to improve the access and destinations to the south west, the north east, London and the Thames Valley. So significantly enhancing Worcestershire’s connectivity to outline regions. The motorway is approximately nine miles distant at Worcester junction 7 of the M5, bringing Birmingham to the north and Bristol to the south within commutable distance. Other main centres are Stratford-upon-Avon with the theatre and racecourse, Cheltenham with National Hunt horseracing and the Everyman Theatre and major main shopping facilities, Worcester with famous Cathedral and equally famous cricket club together with the River Severn and good shopping centre.